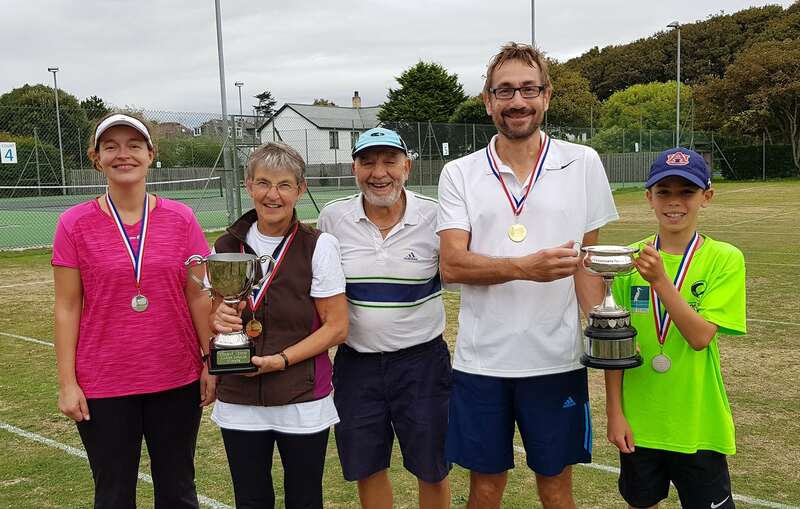 On Saturday 8th September the Perran Tennis Singles Championship’s were held on both the Hard and Grass courts . 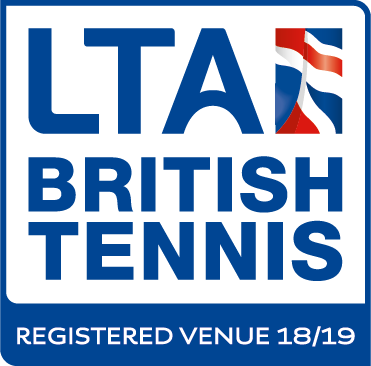 The Ladies produced a great morning of tennis that resulted in the first semi final of defending Champion June Fallow against Maria Flewitt who was making her debut in the Championships and the second Semi final of Alison Legg against Perran Tennis’s young player, Martha Marney. June Fallow and Alison Legg were the eventual winers. The Final, played on the Hardcourts, resulted in a 6 2 victory to June Fallow, retaining her trophy. The Men’s Championship produced good tennis with two Semifinals of Stephen Hawkens v Archie Mallett and Peter Williams v Greg Spray. In the first Semi a titanic match between the experienced Stephen Hawkens and the up and coming Junior Archie resulted in a 7-5 victory to Archie Mallett. In the other Semi Peter Williams defeated Greg Spray 7-5 in a match that had everyone applauding . The final between Peter Williams and Archie Mallett produced a good win (6-3) for Peter Williams, the eventual Men’s singles Champion. 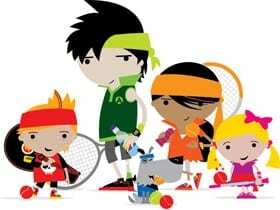 A great day to watch tennis with two rising stars Martha and Archie playing fantastic tennis at such young ages.